Hello everyone, I'm about to start a new project. I'm going to do the ARA Domecq García. (Ex Uss Braine). This ship was a Fletcher class. 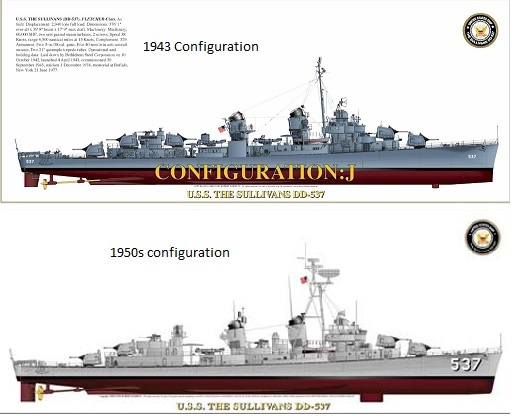 As base I will take the model kit of Trumpeter scale 1/350 of the Uss The Sullivans of the year 1945. As you know in the 1950s, several ships of the Fletcher class suffered a modification in their armament and radars. In 1971 the Uss Braine was decommissioned and sold to Argentina Navy and by that time it already had those weapons modifications that I mentioned. Some of those modifications were for example the implementation of a tripod foremast with SPS-6 and SPS-10 radars and a QHB sonar. The third turret was also removed. That's why I'm trying to avoid the scratch and search on internet if there is an upgrade kit for weapons modification for the Fletcher class. But I have not found any. Of course I would greatly appreciate if You have knowledge about the existence of any kit, part, 3d printing or something similar, otherwise I will have no choice to start scratching. Thank you so much and sorry for my english is not my native language. You're doing just fine in the language department Juan. You started with the best kit for conversion, The Sullivans 1945 fit, but to the best of my knowledge there are no conversion parts available. I have looked as well, over many years, and have come up with nothing. I think scratch building is the only thing available to you. What I would recommend to you though would be after market 5" single mounts molded in 3D resin from Model Monkey. 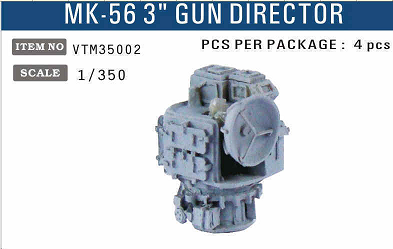 I also think someone has Hedgehogs and 3 inch/50 Cal twins available in 3D print. If for no other reason than for my sake, please post your in progress photos and notes here. I love the Fletchers. They are "THE" American destroyer to many of us. My plans for later this year include building the two versions of the Fletcher DDE's offered by Iron Shipwrights, and thank you Mardis Hall for putting me straight about ISW willingness to produce water lined versions of their kits. Hey Quincannon! Thank you very much for your answer. 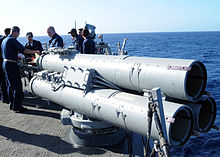 I was searching the internet for each of the Fletcher Class DDS and I did not find anything either. As you said, I think I'll have to face the scratch building. I am very excited to assemble this kit as it was one of the first ships of my father's destination in his navy service. Regarding the 5 "single mounts in 3D resin from Model Monkey, why do you recommend them? Are they better than the ones that come in the The Sullivans kit? I am finishing a project (Lockheed SP-2V5 Neptune) of Argentine Navy (Ex US Navy) and then I will start with the ARA Domecq Garcia (Ex Uss Braine). When I start I will show the advances and of course the doubts that surely will be many hehe. By the way, one of those doubts is what they installed instead of the 3rd turret (red circle in the image), Do You have any idea what part is it? Yes, I think the 5" mount from Model Monkey is better than either the Tamiya or Trumpeter 5" mounts. Be sure you get both style mounts. The number 1 and Number 5 mounts are the so called double knuckle with a hood to protect the gun captain, while the Numbers 2, 3,and 4 omitted this feature. The Number 3 mount in the four gun Fletcher was replaced by a director for the 3" twin mounts. I do not know what Mark it is. There is a fellow named Rick Davis that can be found on the Steel Navy website who has forgotten more about the Fletcher Class than most people will ever know. He has published two very comprehensive booklets on the subject, one on the early round bridge sub class, and his most recent on the square bridge Fletchers. Unfortunately none of the material covered in these books deal with post war service. Still Rick is the guy you need to go to about Fletcher question. Just post your question directed at him. Anyone can post. It is an open site. Be sure to look at the Black Cat models web site. They are new and are currently producing accessory parts and a few small models in 3D print format. They are supposed to have some announcement concerning the Fletcher Class in the very near future. Don't know what it is going to be specifically, only that it concerns the Fletchers. Probably some part or other. Another place you may want to look for is the Model Warships web site. When you dig into all of the forums they offer, you will find one called "Calling All Ship Fans" and a sub thread of the is Destroyers, which will eventually lead you to "Calling all Fletcher Fans" Lots of really good information can be found there. Juan: You certainly picked a ship to model with a colorful history. After my last post to you I checked NAVSOURCE to see what they had for pictures, and the ships history. She survived two suicide strikes during the Okinawa Campaign, and also played a part in the filming of the movie "In Harms Way"
I noticed that she landed her after bank of torpedo tubes, probably sometime during the 1960's and replaced them in the same position with two Mark 32 triple, anti-submarine torpedo tubes. There are two pictures on NAVSOURCE that will show you their exact location, that were taken at Hunter's Point Naval Shipyard. In one she is pictured across the dock from USS Hornet, and the other is a close up of the shame picture. Best of luck, and I'll be watching closely. I know the resin kits are more detailed but I will first focus in the upgrades and parts the kit dont has. Well, it is a great fact. I will go to the site and I will make sure to contact Him! Oh yes. When a few months ago I searched for information about the Uss Braine, I got a big surprise and its story is great. I already knew that page I have it scheduled with your photographs for the time to start building the boat. Again, thank you very much for the interest and the information that you give me, it is very useful for me. You are quite welcome Juan. Happy to be of any assistance I can. 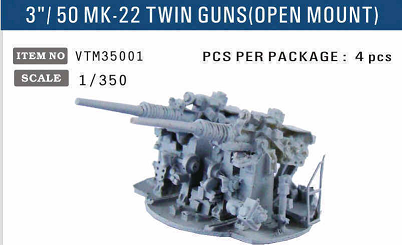 Trumpeter and Dragon both made nice Mark 32's Dragon for all of the Spruances and Ticonderogas they release and Trumpeter on their several Burke Class releases. Can't go wrong with either. Why don't you include that with your post to Rick Davis, and maybe someone has a pair in their spares box they would be willing to send you. Appears like you obtained a lot of good material from Rick. I am glad he had what you required close at hand. Hey Quincannon!! He gave me lot of good ones!! Did you see the thread? I was lucky he showed me a link of a guy who visited Uss The Sullivans and took lot of pictures! that was great for me! Thank you a lot! I will post my progress here!